The Windsor Conservative Association represents The Conservative Party within the Windsor Constituency. There are so many ways to get involved locally. 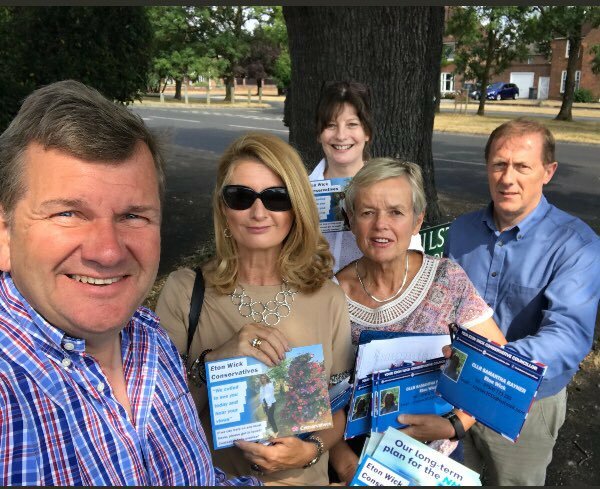 We encourage all Conservative supporters who live or work in the Constituency to attend our events, join our Association and become involved in campaigning. Our Association is run by volunteers, who generously donate hundreds of hours of their time every year to help. They campaign all year round; delivering leaflets, speaking to residents and canvassing voters across our local area. Our volunteers are also the people who raise the money to run our Association; through membership subscriptions, encouraging donations and holding events. Officers are responsible for the day-to-day running of the Association and answer to the Executive Council. Our Association also has 2 members of staff - Sarah and Liz.